When it comes to residential solar panel installers, SolarCity has been the big kid on the block for a number of years. For the beginning of the residential solar panel boom that started around 2010, SolarCity has had a substantial market share in the residential solar space. SolarCity is perhaps best known for their solar panel leasing and PPAs (Power Purchase Agreements). This is because SolarCity is, above all, a solar company centered around financing. The idea is that they can help homeowners who can’t afford the large upfront cost of a solar system for their home. For this analysis, we are going to focus only on their most popular financing option: leasing. What is a SolarCity Lease? SolarCity’s leasing program is actually pretty simple. Instead of paying for the solar setup and installation, SolarCity pays for it. You just pay them a monthly fee over a 20 year lease agreement. They also provide a warranty for the entire system for the 20 years, plus a warranty on your existing roof for 10 years (or if you have an existing warranty longer than 10 years, they’ll match it). This sounds pretty attractive right? Well, there are some catches. 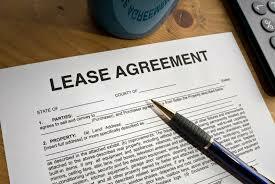 The main one is that the leasing rate increases by 2.9% annually. So over a 20 year lease, that is quite a big increase. We will cover more of the issues with a SolarCity lease after the cost analysis. So, at the time of writing this post, SolarCity has actually made example contracts for their leasing program unavailable. However, Understand Solar did a page similar to this so we will take the data that they used to do an analysis. In this example, the leaseholder is the owner of a smaller house in California. The system that was installed is a 4.25 kW system (this is definitely on the smaller end) and it is estimated by SolarCity to provide 6,016 kWh (kilowatt hours) over the course of the first year. As of early 2017, SolarCity charges $5.10 per Watt on all installations, no matter what the size. Therefore don’t be surprised if they entice you into getting a larger system. What it comes down to, and has always come down to, is you doing the proper research into the energy needs of your home. It’s wise to know what size system is the best fit for your house, location, state, and energy usage. So as you can see, the price really starts to add up. By the final year, your monthly payments are almost double what they were the first year! Over these 20 years, this homeowner would have paid around $24,000 for the 20 year lease. In California as of 2015, the cost of solar was 15.42 cents/kWh and it has historically increased by 2.5% annually. If this homeowner’s energy needs were actually just the 6,016 kWh that his SolarCity system would have provided, than we can do some math to figure out what he would pay to his utility company over the same 20 year period. As you can see, the price of standard electricity from a utility company rises at a slower rate than the price of a solar lease from SolarCity! Of course, this is not accounting for any potential factors that could drastically change the price of electricity from the grid in the future. In the end, this same homeowner would be paying around $23,700 for energy from his electric company over the same 20 year period. You read that right, it’s actually $300 LESS than he would have paid for his solar lease from SolarCity. A lease from SolarCity may make sense in some cases, especially in places where the cost of energy is very high, but it is ultimately one of the least cost effective ways to make the switch to solar. The main reason for this is that the profitability of SolarCity’s leasing model depends on pocketing the 30% federal tax rebate that comes with each solar installation. Because THEY are the owners of the panels on your roof, they get the rebate and those savings simply don’t get passed on to you. We are still in a place where that 30% tax credit can be the difference between a solar panel system being financially feasible or not. SolarCity does offer more than just a leasing option for solar panels! They were actually the creators of the PPA (Power Purchase Agreement) which essentially rents you the solar panels and charges you for the energy created by them. When it comes down to it, this option is actually about as inefficient as their leasing option so we wouldn’t recommend it. However, in attempts to adapt to a changing solar industry, they have recently instituted a new loan option that could make a lot of sense. With this option, you would be paying a bit more but you would actually own the solar system and be entitled to the 30% tax break from the federal government. One of the reasons that SolarCity has lost some of their market share is due to the rise of the regional and local installers. These installers now have finance partners and are able to set up their customers with attractive loan rates for solar installations. Leasing and PPA agreements are now losing steam due to the ability of other installers to offer options that don’t require upfront payment for the entire system. Here at Solar Action Alliance, we have found that local installers tend to be the current best route for homeowners looking to install solar. If you’re interested in getting connected with a trusted installer in your area, simply fill out the short form below!